All video tutorials include audio so please be sure to have your headphones or speakers turned on. Learn how to create an upload to the Service Bureau for printing and mailing your forms. Learn how to electronically file your forms to the IRS or SSA by uploading your data to the Service Bureau. Learn how to create a correction after you have filed your forms with the IRS/SSA. 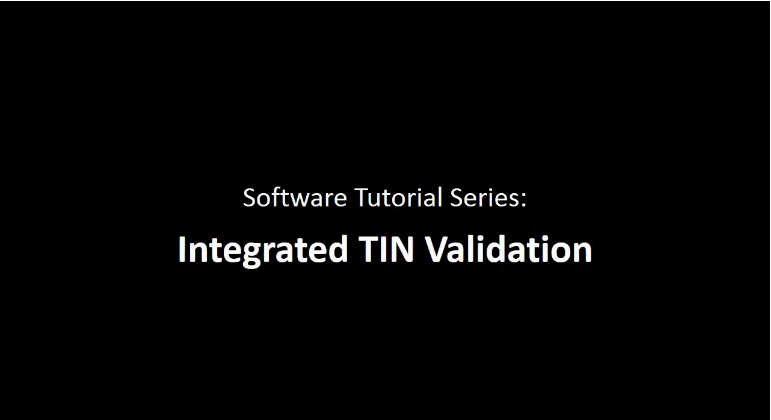 Learn how to utilize TIN/Name validation features from within the 1099 Pro software. Learn how to purchase software supported forms and envelopes on the 1099 Pro website. Learn how create and submit a Bulk TIN matching upload via the 1099 Pro Service Bureau. Learn how to add a filer, import 8966 forms, and create a secure XML V1.1 package for IDES submission. *Cantonese Version* Learn how to use FATCA 8966 Professional in Cantonese. *Spanish Version* Learn how to use FATCA 8966 Professional in Spanish. Learn how create and submit a Nil Report using FATCA 8966 Professional.